The deliciousness of the wines that come from this stretch of road in Santa Barbara County is due in large part to the microclimate that enters Ballard Canyon from the ocean. The Santa Ynez Valley’s unusual orientation pulls maritime wind inland across the extended Santa Ynez Valley every afternoon and fog every evening. 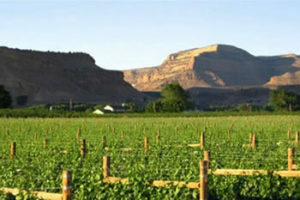 Rancho Boa Vista is a certified organically farmed, 10-acre vineyard in the Ballard Canyon AVA. Rancho Boa Vista is unique as a site because of the mixed soil types. The lower section of the vineyard is almost entirely sand, which is where the Grenache is planted. Meanwhile the Syrah is planted in the upper blocks where it is a mix of shale and clay loam. 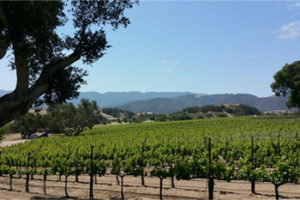 Larner Vineyard is located at the southern end of the Ballard Canyon AVA in Santa Barbara County. The 134-acre estate is planted to 34 acres of vines, all south-facing, with Viognier comprising just 2.5 acres. The soils here are sandy and exceptionally well drained, with a deep bed of limestone underneath. 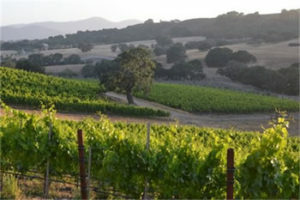 Bookcliff is a sustainably farmed 37 acres of vineyards located in the Grand Valley AVA. They grow fourteen different varietals within their two vineyards. We source Chardonnay, Viognier, Cabernet Sauvignon, Cabernet Franc, Syrah, and Petit Verdot from these vineyards. The Chardonnay and Viognier are blended to produce our ‘VAULT’ white wine. While the Syrah, Petit Verdot, Cabernet Franc and Cabernet Sauvignon are blended to produce the ‘BUFFALO NICKEL’.